Your push or riding mower sat in the garage all winter, and now the battery is too weak to start the engine. You can jump the mower with the battery in your car or with a portable jump-starter, but you can only use your car battery if your mower has a 12-volt battery. In addition, you can't use your portable jump-starter to jump a 6-volt battery if it doesn't have a 6-volt setting. 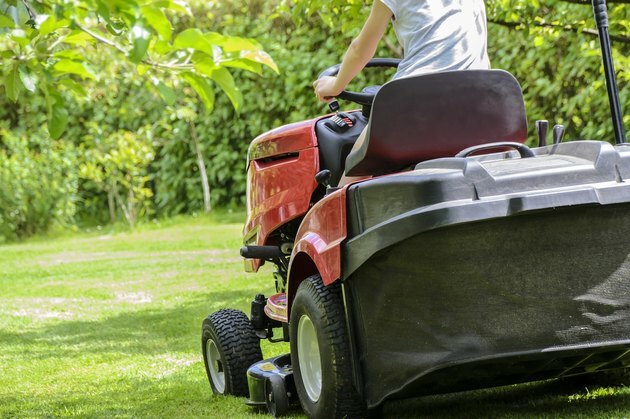 If your mower has a 6-volt battery, and you don't have a 6-volt jump-starter, your options are to trickle-charge the battery or to buy a new one. Wear protective gloves and goggles. Your lawn mower battery contains strong acid, and jump-starting it could make it explode. This probably won't happen, but you should protect yourself anyway. Never stand directly over the battery when attaching the cables. Sparks often fly when the cables make contact, and one of these could cause an explosion. Turn off the car's engine before starting the mower. 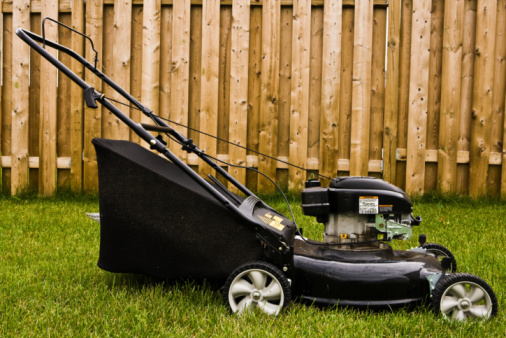 If the engine is running, the car's alternator may quickly overload the mower battery. That could damage it or cause an explosion. Always connect the red clips to the positive terminals first. Park the mower on level ground. Turn off the ignition; set the brake, and disengage the mowing rotors. Uncover the battery terminals. You may have to remove a protective cover to access the battery. Consult your owner's manual for the proper procedure. Park your car close enough to the mower to allow the jumper cables to reach. Turn off the engine, and open the hood. One end of red cable to the positive (+) terminal of the mower battery. The other end of the red cable to the positive terminal of the car battery. One end of the black cable to the negative (-) terminal of the car battery. The other end of the black cable to the metal frame of the mower far from the fuel tank and battery. Start the mower engine. Be sure to leave the car engine off when you do this. Disconnect the jumper cables in the exact reverse order: black from mower, then from vehicle; red from vehicle, then from mower. 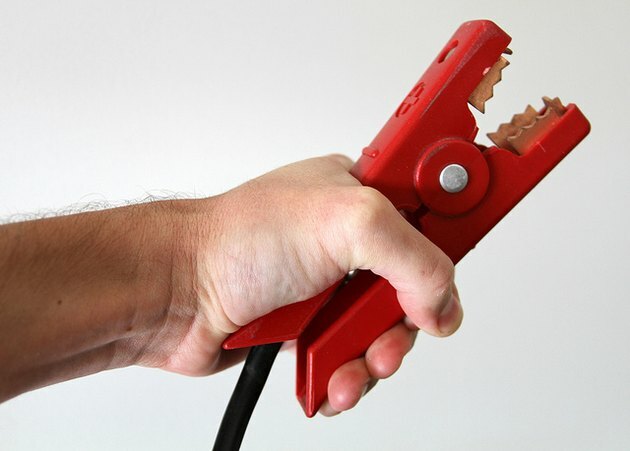 When jump-starting the mower with a portable power pack, connect the red clip to the positive terminal on the mower battery and the black clip to the negative terminal or to the metal frame of the mower. Be sure the power pack is switched off when making the connections; then turn it on and start the mower. As soon as the mower starts, switch off the power pack and disconnect the cables, starting with the black one.